Precision Plating offers rack, wire and barrel plating in a wide variety of finishes to General manufacturers, and Machine shop clients as well as the general public. We have a high level of technical expertise in electroplated finishes and specifications. As well, we have an in-depth knowledge of machining methods and processes, allowing us to better understand our customer and their needs. 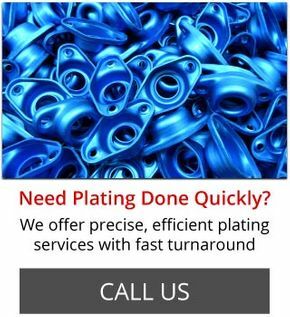 We can advise on appropriate finishes and plating methods if needed. Our full in-house laboratory, as well as our extensive machine shop experience aid us in understanding and holding tolerances, following specifications and issuing certificates of compliance to industrial and military specs as required. Contact us for a recommendation of which materials are best to give your parts solderability, conductivity, corrosion resistance or whatever quality is needed.